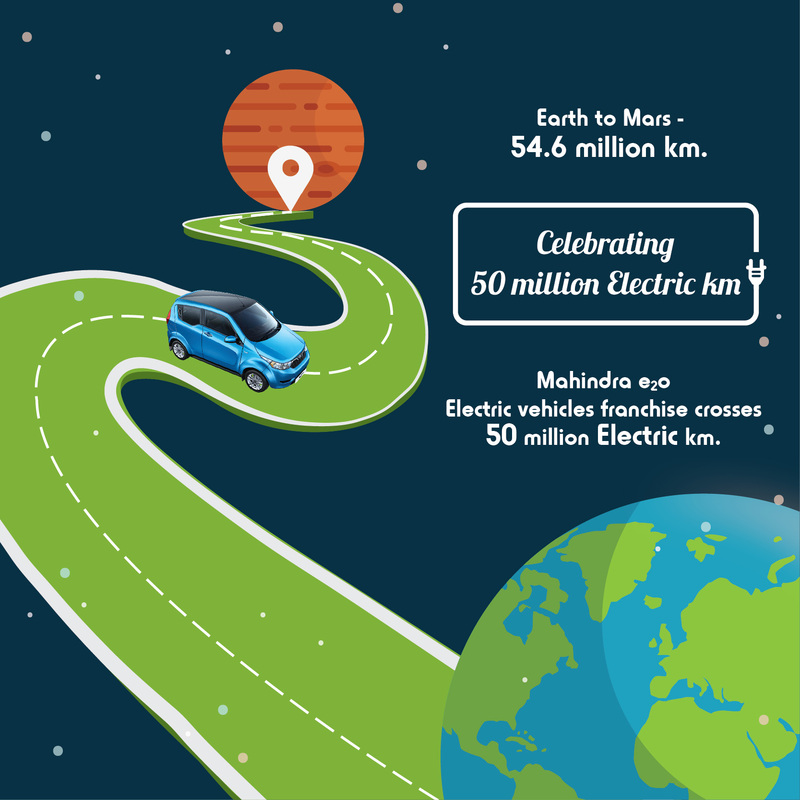 Mahindra Electric today announced the completion of 50 million electric kilometers on Indian roads. Mahindra Electric cars – the e2o and e2oPlus have jointly contributed to a saving of 2,50,000 kgs of carbon dioxide emission into the environment which is the equivalent of planting 250,000 new trees. This milestone marks the beginning of a greener future for India and announces the arrival of an Electric Mobility revolution, as stated by the company in its press statement. India’s leading electric car, the e2oPlus has smart technology and telematics integrated into it. These features allow the vehicle to remain connected with the customer as well as Mahindra Electric. Telematics help Mahindra Electric engineers to remotely diagnose and fix any issues that may come up in the vehicle. It also helps collect big data to help fine tune and improve the technology that is at the core of these vehicles, adds the statement of the company.